Found about 34 miles to the north of Orlando and 23 miles west of Daytona Beach, DeLand provides a home for about 29,000 residents. It's found in Volusia County and it's a part of the Deltona-Daytona Beach-Ormond Beach Metro area, which as a population close to 600,000 residents. The area is also very popular with tourists due to many popular events held throughout the year. The mixture of visitors and residents fills the roads with many different driving styles. This can make driving in DeLand dangerous. Interstate 4 runs through parts of Deland, along with Highway 92 and Highway 17. The Florida portion of I-4 is known as one of the most deadly highways in the country. From 2004 to 2008, the Florida portion of I-4 saw 209 traffic fatalities. Volusia County experiences an average of about 6,500 accidents on the roads every year. About 125 traffic accident fatalities happen yearly in Volusia County with more than 5,000 injuries each year. Traffic accidents in Volusia County and DeLand are on the rise. If the law enforcement assigned to monitor roads in DeLand didn't issue traffic tickets, these statistics would be far worse. Nearly 37,500 traffic tickets were received by drivers in Volusia County for 2015. About 13,000 of those tickets were given to drivers speeding and another 4,400 were given to reckless drivers. Your chances of getting a ticket dismissed are very slim since only 13% of the total number of tickets issued were actually dismissed. 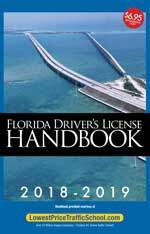 If your license is suspended, you will have to figure out how to get around DeLand without driving. This can be a huge hassle. Disobeying traffic laws is a very fast way to end up with a suspended driver's license. It only takes a few tickets to get 12 or more points on your license. After receiving a traffic ticket, you may have the opportunity to eliminate the points and keep your insurance rates from going up. If you enroll in traffic school, you will be able to complete the course and keep the points off your license. This option is a good choice for all drivers receiving a traffic citation that are eligible. You will need to pay your ticket, inform the clerk of the court you wish to take traffic school, enroll online in the basic driver improvement course, complete the course and turn your certificate of completion into the clerk of the court. This will allow you to keep your insurance rates from going up and keep the points from going on your driver's license. 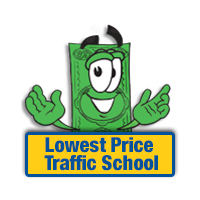 Are you Eligible for Traffic School in DeLand? All drivers are eligible to take the basic driver improvement course and avoid points, if they haven't taken the course in the past 12 months or five or more times in their lifetime. You can check with the Clerk of the Court to see if you're eligible. The Volusia County Clerk of the Court handles all payments, questions and information about traffic citations issued in DeLand, regardless of the law enforcement branch issuing the ticket. If you plan to attend traffic school online, you need to inform the clerk of the court when you pay your ticket. Find out more about the Volusia County Clerk of the Court by going to the website.